According to the American Cancer Society, in 2013, an estimated 232,340 new cases of invasive breast cancer were diagnosed among US women, as well as an estimated 64,640 additional cases of in situ breast cancer. 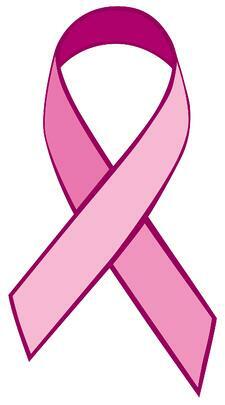 Furthermore, breast cancer is responsible for the death of about 3% of women nationwide. Thankfully, however, death rates are on the decline, thanks to continued funding and research on this deadly disease. For example, epidemiologist Katherine Reeves at the University of Massachusetts, Amherst has recently received a three-year, $1.5 million grant from the National Institute of Environmental Health Sciences to study phthalate metabolites as a contributing risk factor to breast cancer. Phthalate metabolites are plasticizing and solvent chemicals found in cosmetics, shampoo, flooring and medical tubing. The chemicals show up in urine samples in nearly 100 percent of the United States but the correlation with human breast cancer risk is widely unknown. For this study a team of researchers, led by Reeves, will analyze phthalate levels in 500 women with breast cancer. According to a university press release, the study will also evaluate whether associations between phthalate metabolite levels and breast cancer vary by disease characteristics such as hormone receptor status and personal factors including age, postmenopausal hormone therapy use and body mass index. …and a host of important life science disciplines, all in need of new biotechnology and lab supplies. The University of Massachusetts, Amherst ranks third in Massachusetts for research funding from the National Science Foundation, behind only MIT and Harvard University. The University of Massachusetts, Amherst is undergoing a five-year, $1.4 billion construction and renovation project on its campus. 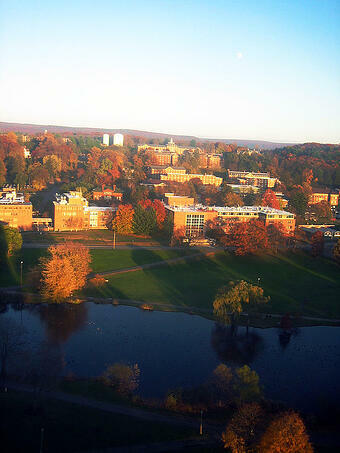 In 2013, UMass received $39.7 million in research funding from the NSF. In 2013, the National Institutes of Health awarded the University of Massachusetts, Amherst $21.7 million in research funding. By popular demand, Biotechnology Calendar, Inc. is bringing our line of premier biotech events to UMass with the BioResearch Product Faire™ Event at University of Massachusetts, Amherst on June 11, 2015. Laboratory equipment and supply vendors can gain access to some of the nation’s top-funded researchers by exhibiting at this first-of-its-kind biotech and lab supply event at UMass, Amherst. This event is one of 60 held at top universities nationwide, and will bring together life science professionals from dozens of UMass science departments looking for new biotechnology and lab supplies. Be sure your products are represented in this brand new marketplace by participating in the one of the most affordable and popular biotech trade show series in the country.